Although many homeowners would like a simple house with neutral shades and basic pieces, preschool teacher Myril Ann Alamo wanted to have a more unique space. She wanted to live in a fun home that her three-year-old son Miguel would be happy in. She preferred happy colors, cheerful patterns, and quirky details. In order to create a playhouse-inspired home, interior designer Van Acuna-Solana transformed the family home with vibrant paint and printed wallpaper for the walls. 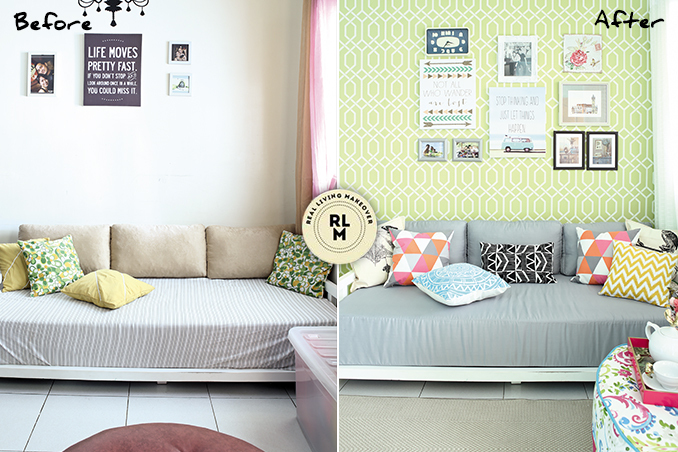 She even chose furniture and decor in neon hues and mismatched patterns. Since Van also noticed that the space underneath the staircase was crammed with a laminated bookshelf, a small TV stand, and stacked plastic bins, she removed the clutter and brought in a brand new white shelf. Read the original article ("Color Splash!") in the December 2014 - January 2015 issue of Real Living Magazine. Download your digital copy of Real Living on the Real Living App now! Log on to summitnewsstand.com.ph/real-living for more details.